Obesity Hypoventilation Syndrome (OHS) is a breathing disorder characterized by too little oxygen and too much carbon dioxide in the blood. Although obesity is a primary contributing factor for being diagnosed with the disorder, scientists are still undecided about other risk factors that may cause the disease. The good news is that OHS can be treated successfully through a combination of therapies that can afford patients significant relief. The causes of OHS are not well-understood. 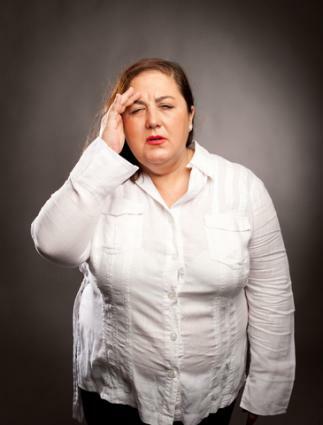 The syndrome is thought to be a complex interaction between "sleep-disordered breathing, diminished respiratory drive and obesity-related impairment." Some scientists theorize that the condition may be a result of the brain's inability to regulate breathing properly. Excess weight against the chest wall may make breathing deeply enough difficult and may also produce an excess of hormones that make it more challenging to breathe effectively. Because OHS often remains undiagnosed until the fifth or sixth decade of life when symptoms have become quite severe, the prevalence rates are difficult to determine. For adult patients who present with Obstructive Sleep Apnea (OSA), the estimate for co-morbid OHS is about 10 to 20 percent. 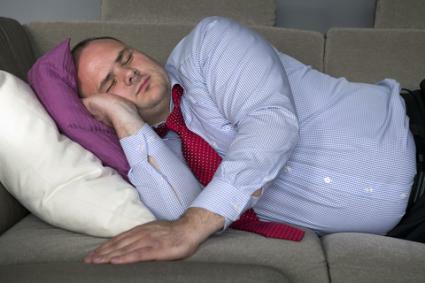 For people with no OSA symptoms, the estimate is from 0.15 to 0.30 percent. However, the incidence of obesity has continued to increase over the last three decades, so the incidence and prevalence of OHS is likely to rise as well. Arterial blood gas (ABG): This test measures the amount of oxygen and carbon dioxide present in a small amount of blood taken from an artery. Nocturnal oximetry: This test uses a small device that clips on the wrist to measure the amount of oxygen in the blood during sleep. Echocardiogram and/or ECG: These record any abnormality in heart functioning that may contribute to breathing problems. Pulmonary function test: This is actually a group of tests measuring how well the lungs take in and release air. Chest x-ray or CT scan: These can show abnormalities in the chest cavity or the presence of a variety of heart conditions. OHS can be a severe condition that, if left untreated, can eventually lead to a significantly reduced quality of life and/or even death. However, there are a number of avenues for treatment that can alleviate or even completely eliminate the symptoms. Weight loss: This is a primary avenue of treatment for reducing or eliminating the symptoms of OHS and can potentially include surgery aimed at aiding in losing weight. Ventilation therapy: This may include the use of a Continuous Positive Airway Pressure (CPAP) device or, in extreme cases, a temporary tracheotomy. Oxygen therapy: Administering oxygen, along with CPAP use, can significantly improve outcome for OHS patients. Lifestyle changes: Avoidance of respiratory depressants like alcohol or sedatives may help. Medication management: This is less common but can be effective in some instances. Treatment for OHS is highly patient-specific and will likely include a combination of therapies. Doctors suggest research efforts should focus on earlier detection and preventative measures so patients do not develop serious conditions as a result of their OHS. Adherence to the prescribed treatment protocols is very important, and any questions or concerns about this condition should be thoroughly discussed with a medical professional specializing in breathing and sleep disorders.